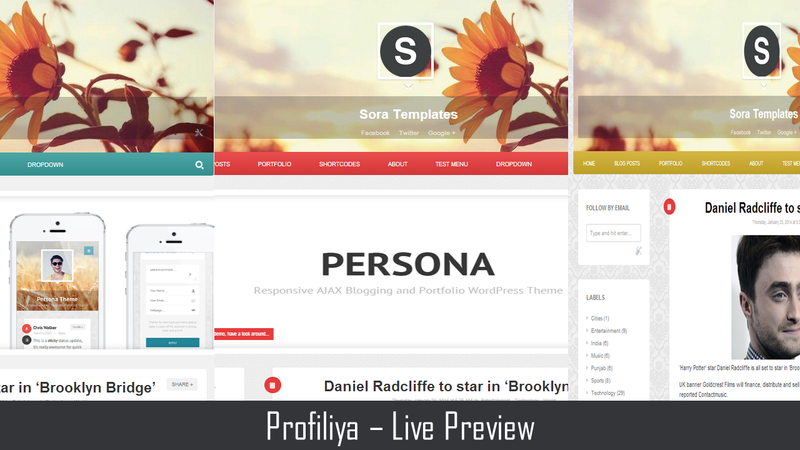 Description: Profiliya blogger template is carefully crafted and coded to provide powerful functions and a main stream style. It is a colorful presentation of your writing or work with the features that make your website fast, SEO optimized and an overall efficiency! Sora Templates is proud to yet again bring as solid a blogger template as this one.